If travel or life has left a sizeable hole in your wallet, do not despair. Cody, with its abundance of breathtaking scenery, outdoor adventure and finance-friendly pursuits can be a haven for those vacationing on a budget. In fact, if you are a fan of the Great Outdoors you may find that leaving the wilderness long enough to start spending money is harder than you would expect. However, one piece of advice that I would definitely offer is for you to purchase a copy of the local newspaper – The Cody Enterprise. This can be found in various locations around town – stores or paper boxes – and provides an invaluable listing within the “people” section entitled “Your entertainment calendar.” Here, you will be able to see at a glance what free or bargain activities are being offered when and where. Failing that, the Cody Enterprise has an informative website where you can also seek such advice. The Cody Chamber of Commerce would also be another great resource that you should visit as soon as you can. Here you will find extensive information as well as knowledgeable and friendly staff. The Chamber can be found at 836 Sheridan Ave and can also be reached by phone at (307) 587-2777. Bear in mind that fairly pricey but well worth visiting places such as The Buffalo Bill Historical Center and Old Trail Town have one to two dates a year where they open up for free. Finding out if you are lucky enough to be in town for one of these dates should therefore be a top priority! Call BBHC at (307) 587-4771 and Old Trail Town at (307) 587-5302. Hotels in Cody can be fairly expensive throughout the summer but in the winter deals abound, so check ahead if you are travelling during off-peak times. For summer guests, there are a couple of cheaper options however. The most obvious budget-friendly option is camping. There are several sites around Cody, within the Wapiti Valley, the Shoshone National Forest or closer to Yellowstone. There is also a site near to the Buffalo Bill Reservoir, only a few miles outside of town. Within town itself there are a couple of options also. The Ponderosa and the KOA offer cabins and Tepees as well as tent and RV sites. However, if a bed in a room is just more your thing – some of the cheapest options during the expensive summer months would possibly be in Powell, about 24 miles away, or Wapiti Valley, about 22 miles up the North fork. One free or budget-friendly activity that stands out in this arresting area is hiking. If you have access to a car, there are many scenic trails within easy driving distance of Cody. In particular, the trails that lead out from around the Wapiti valley approximately 20–50 miles west of Cody are gloriously scenic and suitable for the reasonably fit and experienced hiker. Don't forget to pack the bear spray though! An easier, but elevated, trail can be found high in the Beartooth Mountains which are accessed from the Chief Joseph Scenic Highway off route WY120. The Native American-named Heart Mountain towers over Cody and certainly holds most of the locals in its thrall. Hiking up to its limestone peak is a fairly rigorous but beginner-suitable 7.2 mile round trip. The trail can be reached via the Heart Mountain Ranch on Lane 13H, via highway 14A and route 19. Whilst on the trail, the lucky climber may spot golden eagles, peregrine falcons, elk or sage grouse. The trail is also very family-friendly at least to the half-way point and can, at this stage, also be accessed by horses. There are no fees or permits involved with this hike. The Heart Mountain area is furthermore rich in local history, having been the site of a WWII Japanese Internment camp. As you turn off the main road you can still see some remnants of this haunting place as well as a memorial to the 900 men from the camp who fought for America in WWII. The Heart Mountain Wyoming Foundation (www.heartmountain.us) is building an Interpretive Center which should hopefully be finished by summer 2011. This, I should imagine, would be well worth a visit. Call (307) 754-8446 for details. There are a few truly beautiful drives within the vicinity of Cody and views that, for the price of gas, can be readily accessible. 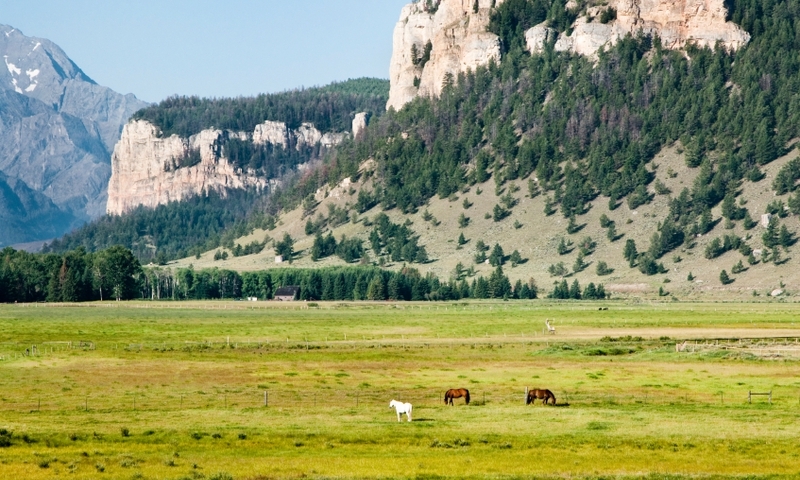 Head north on the WY120 to the Chief Joseph Scenic Highway to access the Beartooth All-American road which meanders from Cooke City next to North-East Yellowstone to Red Lodge, Montana. Here you can drive practically on top of the world past alpine lakes and stunning vistas, on the road described by CBS correspondent Charles Kuralt as “the most beautiful drive in America.” Bear in mind however, that this road is seasonal. If wild horses are your thing – head out to the McCullough Peaks Wild Horse Herd Management Area from the Whistle Creek road approximately 20 miles east of Cody on the Greybull highway. More Information on the McCollough Peaks range. 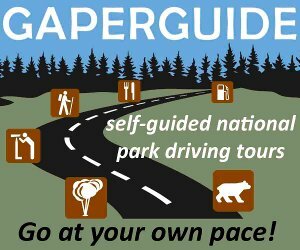 Yellowstone itself can be surprisingly affordable - $25 per car for a week's worth of visiting or $12 for foot traffic. The North fork highway from Cody to Yellowstone is also one of the scenic drives of the West. Featuring – strangely – guns and weapons. Featuring homesteading, farming and pioneer highlights from the area. Powell is approximately 24 miles north of Cody on highway 14A. Featuring the photographer Charles Belden, information on the Legend Rock Petroglyphs and other regional artifacts. Incidentally, the staff at the Meeteetse museums can provide a key and guidance to the actual Legend Rock petroglyph site, which is certainly an awe-inspiring experience. Meeteetse is approximately 32 miles south of Cody along highway 120. The local Greybull museum featuring Indian artifacts and fossils is in the same building as the library and is free. The Greybull Aerial Firefighting Museum does charge a minimal amount but is worth the small charge. Greybull is 30 miles south of Cody on the road to Meeteetse. When you have finished with the museums there are plenty of other opportunities to enjoy in this authentic little western town. If you can – visit the Cowboy Bar across the street for a haunting glimpse of the Wild West frontier days or the Chocolate shop next door where you can enjoy coffee or tea along with your gourmet chocolate or dessert. Yes, there are a couple of “beaches” within a one and a half to two hours drive of Cody that offer family-friendly recreation during the summer months! One is in Elmo State park, Montana and the other is near Horseshoe Bend Marina on Bighorn Lake within the Bighorn Canyon National Recreation Area. Both state parks charge a minimal daily fee for use of the facilities. Horseshoe Bend Marina also provides stunning scenery and possible wild horse sighting as well as a primitive campsite and fishing opportunities. It can be reached by heading north on the 14A and accessing the gloriously winding route 37 that heads towards the Devil Canyon Overlook. Every Friday night during July and August, Cody provides lively family-friendly music in City Park. Locals and tourists alike enjoy hanging out with a picnic and can dance the night away to this great free music-fest. It is also possible to watch Shakespeare for free in the summer, as two productions – one in Canal Park, Cody and the other in Powell – are hosted by Montana's Shakespeare in the Park Company. Information is generally posted in the local paper. At 6pm Monday through Saturday during the summer months you can head out to the Irma hotel for some old fashioned western gunfighter entertainment, often featuring Wild West characters such as Wyatt Earp, Buffalo Bill and Wild Bill Hickok. Chairs for the show can be reserved for about a dollar but benches, walls and curbs can be appropriated for free. For more information call (307) 899-1046. We offer a variety of vacation packages in Cody. View ALL Packages.